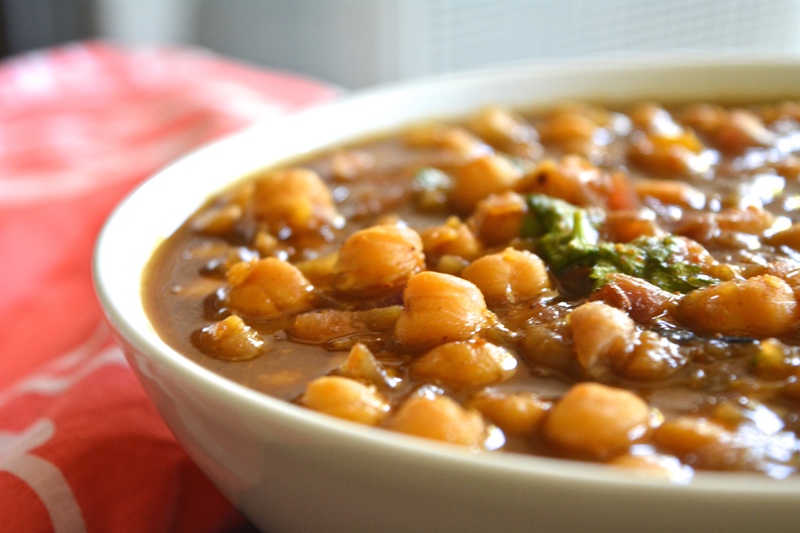 Are you a fan of Channa Masala?I am. A huge one. Any restaurant you go to, you could ask for a vegan version and 99.99% of the time, it will be vegan. When one of my students ‘A’ mentioned that, her mum is of Punjabi heritage, I was like ‘I need Channa Masala recipe’. And her mum emailed me one. Her mum’s name is Geetali.K. She is such a sweetheart-I emailed her heaps of times and she got back to me instantly. If you happen to live in Sydney, she runs Indian Cooking classes at Macquarie Community College. This is not a regular channa masala. This is super special. No garlic/tomatoes. Cooked with tamarind, it is one of those curries which will definitely stand out in the lot. This recipe has been passed over for generations and I am sure it will for many more. I have eaten a fair share of curries but nothing this unique. Tamarind-2 Tbsp tightly packed soaked in 1.5 cups hot water. After they are done, take 1/4 cup chickpeas out-mash it well[or[chuck them in food processor-this is what adds a creamy texture to your curry. Add it back to your pressure cooker. Place this aside. Get your hands dirty and massage, squeeze the tamarind pulp, take the juices out and keep the pulp aside. You will need this for your second extract. Use 1/2 cup of drained water and add it to the pulp. Massage again and extract more juices. Discard the pulp. To a sauce pan, add a tbsp of oil, once hot, add onions and fry until golden brown. Add tamarind extract, salt, rest of turmeric and let it boil for 12 mins on a medium heat. Do a taste check if you need more heat, throw some chili powder in. Add it to the stockpot/pressure cooker, cover and let it simmer for 8 mins on medium heat. If it is too thick, you can add the drained water and make it watery. Saved this recipe. It looks delicious Charanya! Great.. I have never soaked it with cloves, cardamom and chillies. Will try this time. 🙂 I too don’t add tomatoes. Sure 🙂 I never knew we could do that. Delicious!! I always add cardamom, cloves and chillies in ground form. Never added while soaking, but such a good tip. 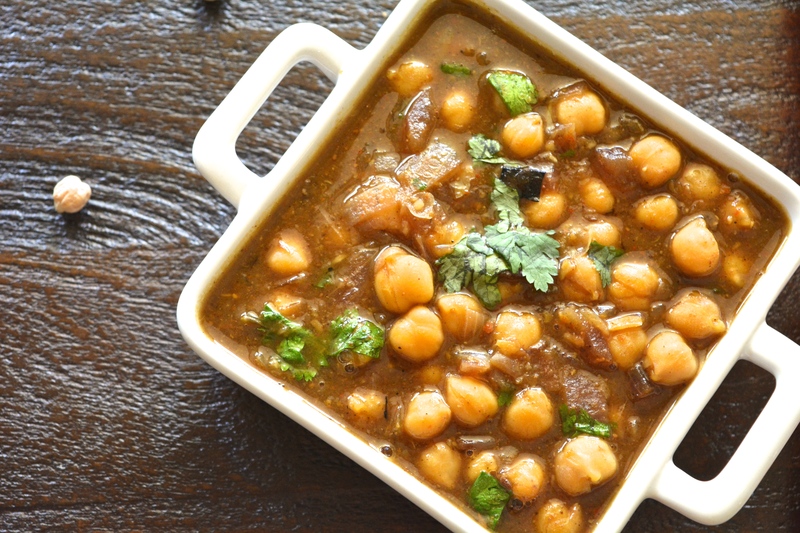 Next time i am gonna try channa by soaking the spices…. Hey 🙂 I would just skip the step, if I were you. Because you add cloves, black cardamom etc while soaking channa, you really don’t need garam masala. Only for that extra kick, it’s added, Curry powder changes the taste. Do you like taste of cloves,cinnamon? You could just dry roast them, crush in a mortar/pestle and chuck it in. Loved loved loved the recipe…. And the clicks….OMG. Just superb. yummy! Beautiful pics. Charanya.. you’re getting so good at it! Love the photos – and the recipe!